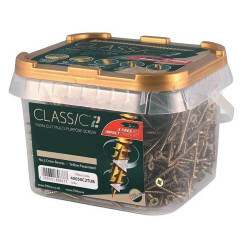 We pride ourselves on having one of the most extensive size ranges of wood screws online - all at extremely low trade prices. Use the filter to the left to help narrow down your search. 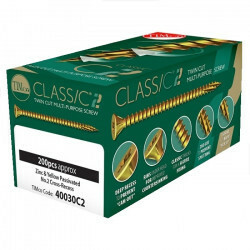 If you’re searching for top quality woodscrews in the UK at great value, you’ll find an unbeatable choice at Tradefix Direct. But with lots of clever features, how do you know which is the right screw for you? You know cam-out. It’s the frustrating slip of the screwdriver head that wastes time with every screw. 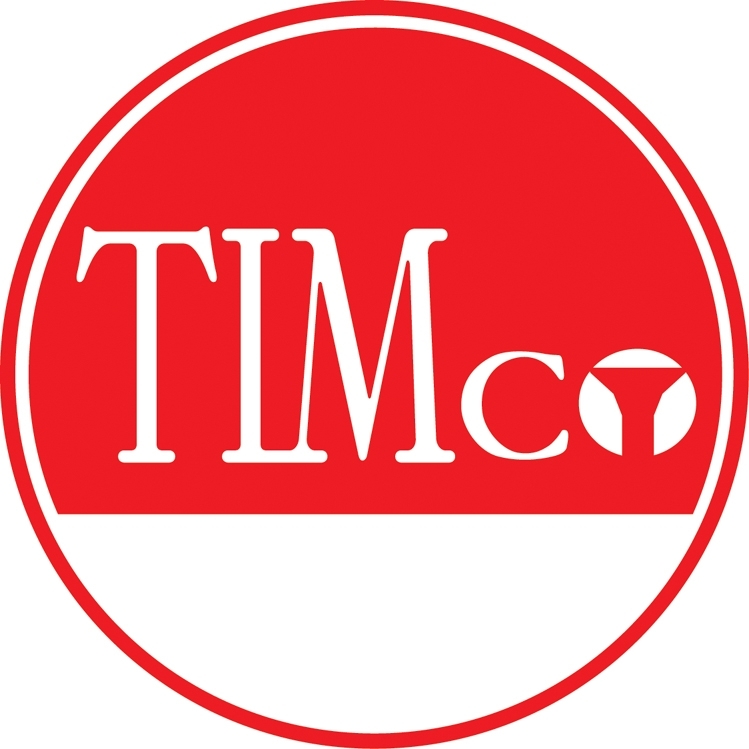 To reduce cam-out, look for a deep recess of the sort you’ll find on our Timco C2 wood screws. Some timbers risk splitting and cracking unless you predrill. But choose high performance options, like our Heco Topix screws, and you’ll avoid cracks on all timbers and avoid the time lost in pre-drilling. Our Spax screws also offer similar crack-free benefits because they push aside the fibres of the wood, rather than carve them up. Traditional pozi wood screws may be great for general use, but when you want multipurpose with simple, speedy driving choose the additional torque of Heco Fix Plus screws. 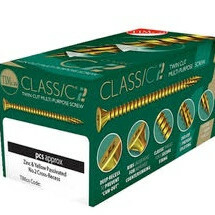 Heco Fix screws have a clever coating and toothed thread that provide maximum torque and screwing speed not only on wood, but also plastic, masonry and sheet metal. Want speedy driving and a neat finish from your screw? Timberfix 360 screws deliver powerful torque and have ribs under the head that help countersink the screw, delivering a smarter finish. 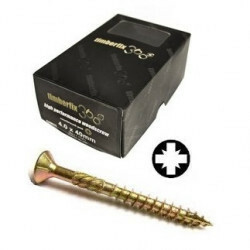 Timberfix screws also give you great versatility, being suitable for most hardwoods. You know the frustration of not being able to achieve a clean joint because the screw keeps pushing waste down into the hole? No one likes a jacked screw, but Timberfix (and Timberfix’s Torx woodscrews) are self-cleaning, removing waste so there’s nothing to get in the way of a tight, clean joint. Which woodscrews are right for your project? Should you use twin thread screws for your project? Would slotted head be a better bet? What’s the best brand for your material – perhaps Spax? Heco? 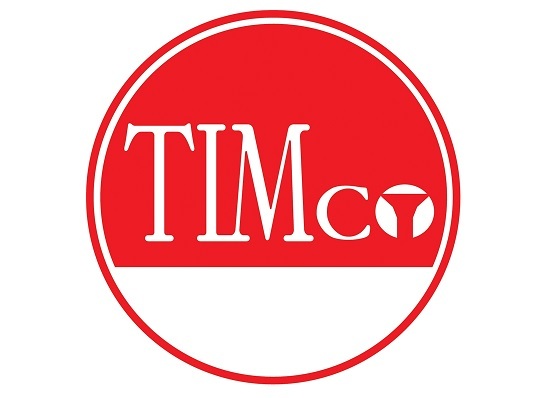 Timco? Or Timberfix 360? When you need the right screw for the job, call Tradefix Direct on 0161 794 1783. You may also be interested in our wide range of joist hangers for your project. There are only 326 of this item in stock. There are only 177 of this item in stock. There are only 69 of this item in stock. There are only 34 of this item in stock.